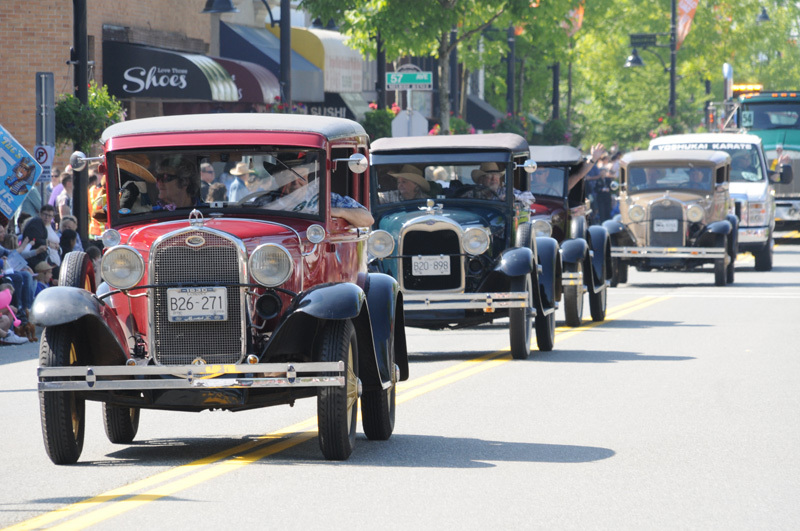 The Historic Cloverdale Town Centre welcomes the 73rd Annual Cloverdale Rodeo Parade back to its new look old downtown. The colourful main street has over 68 gorgeous hanging baskets and indigenous landscaping that makes for a perfect back drop for an old fashioned parade and a great place to take Selfies! To start the morning off, there are a variety of food vendors flippin’ pancakes and sausages to get your tummy in the western spirit. 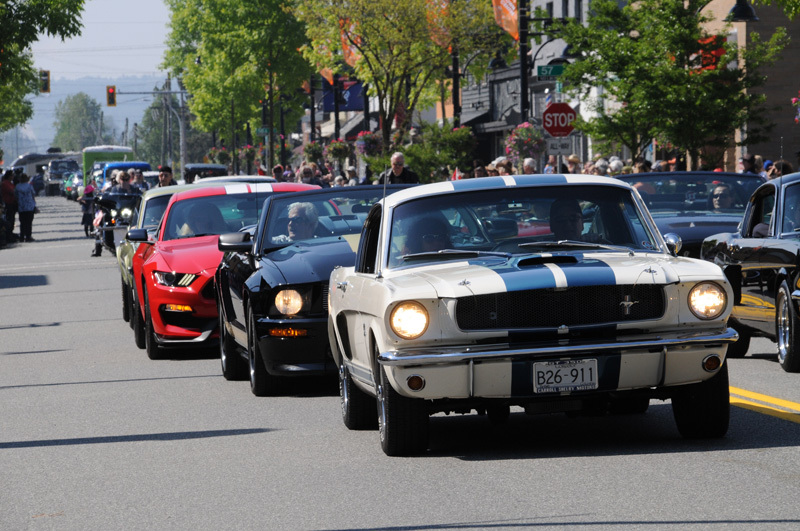 This traditional parade has a variety of floats, marching bands, dance groups, clowns, horses, dogs, vintage cars/race cars/trucks/tractors/fire trucks, and classic Shelby Mustangs and Custom cars. There are also a wide range of service clubs along with the parade favorites the Shriners who have been the largest entrant for over a decade! To keep the parade a bit modern there are a number of local Metro Vancouver/Fraser Valley businesses along with a large contingent of World Class skateboarders and Cultural Groups. This parade has over 1,000 individuals that are directly involved as participants! The Cloverdale Rodeo Parade starts at 10am precisely at the corner of 177B St and Highway #10 and heads west on Hwy #10 to 176 Street. Please note that road closure for the parade will be in effect by 9:30am and access to the Town Centre can only be made on foot. The parade then heads north to 58A Ave and turns east to 176A St where it turns north and heads to 60th Ave. On the final leg of the parade, it heads east by Elements Casino/south end of the Fairgrounds and heads south on 177B St where it finishes at 58 Ave. Thanks to all who will visit the parade, we ask that you keep safe and that you don’t let your children or pets run out onto the street especially during the parade! 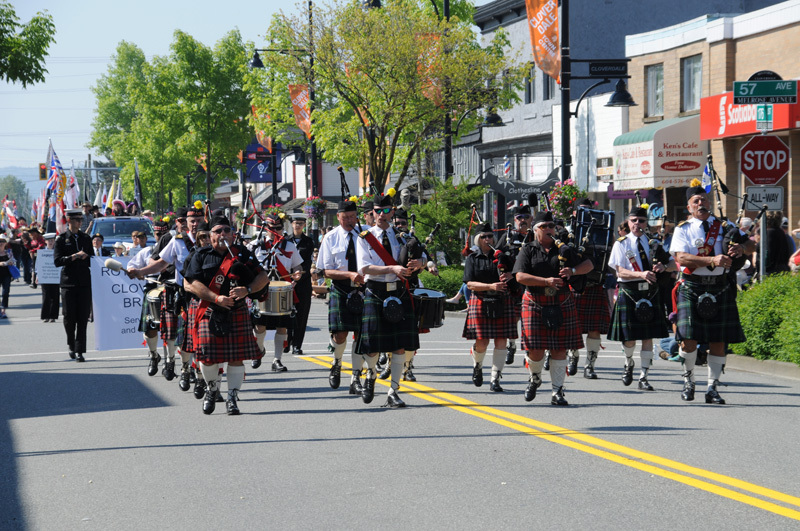 On behalf of the Parade organizers, we would encourage all visitors to give thanks to the residents and businesses in the Town Centre for hosting this annual event. After the parade we encourage you to visit the Cloverdale Fairgrounds for a whole lotta fun at a great price or just stick around town! For more information and schedule of events visit: www.cloverdalerodeo.com. 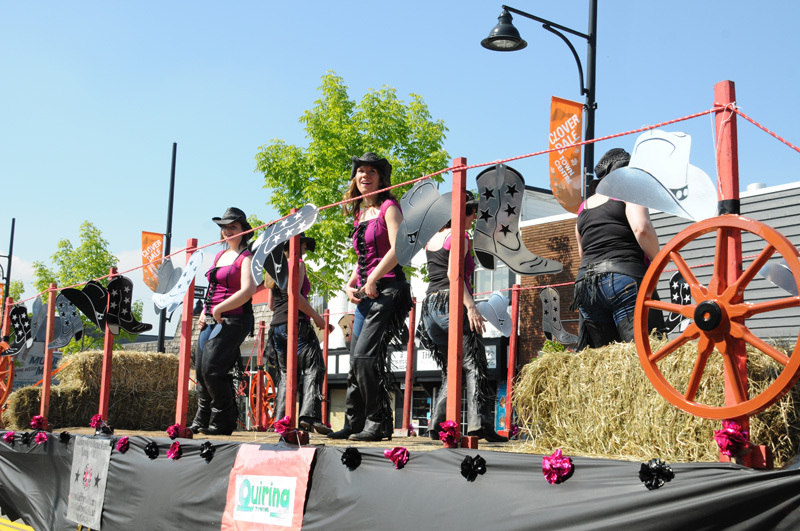 To download a Rodeo Parade entry form please click here. Floats – Commercial: Tom Devlin Personal Real Estate Corp.